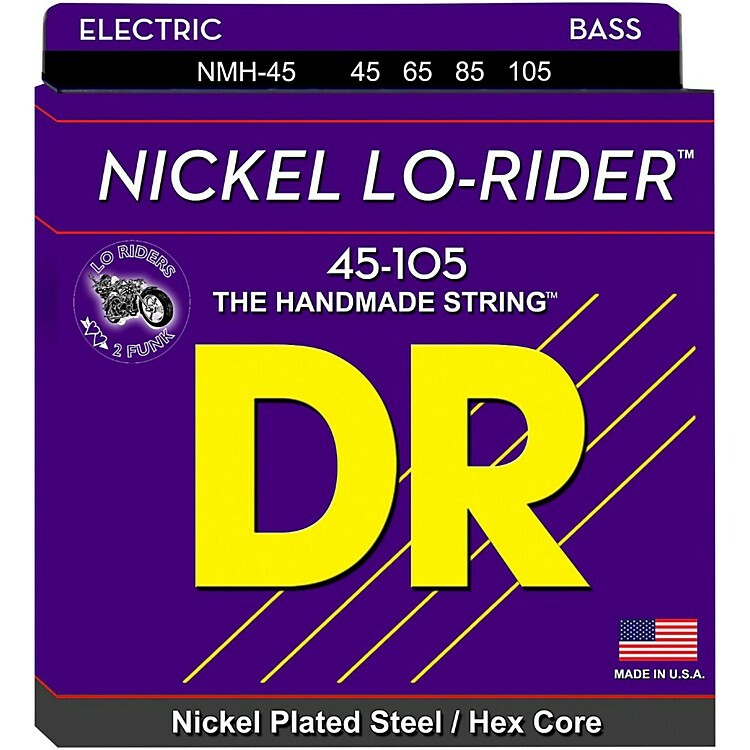 Nickel Lo-Riders nickel-plated bass strings feature hexagonal cores wound with nickel-plated steel for a softer feel and a traditional warm nickel sound. Lo-Riders bass strings are even, long lasting, and loud with midrange growl. Excellent for fretless basses. DR Nickel Lo-Riders will take you down where you want to go.